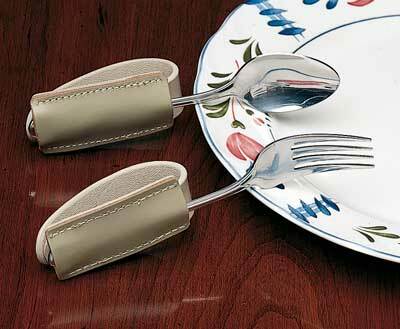 Eating Utensil Holders help people that cannot hold forks, spoons or other eating utensils. 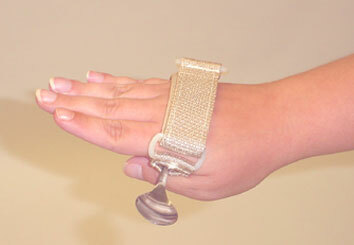 Eating Utensil Holders provide help to those that cannot hold forks, spoons or other eating utensils. A utensil holder can help people eat without assistance. Build up handles on eating utensils, toothbrushes, pens, pencils, tools and other hard to grasp items. 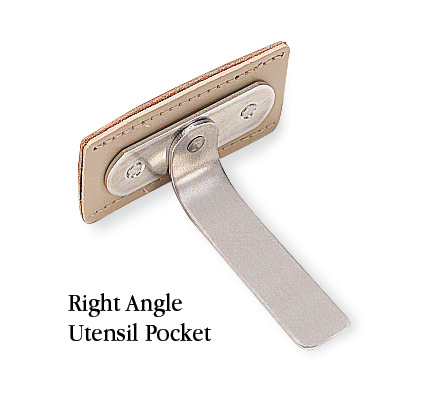 Provides a firm base for the eating utensil pocket. Hand strap with utensil pocket holder..
An excellent eating aid for people who have trouble grasping and holding small utensils. 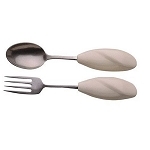 Allows the user to best position an eating utensil for self feeding. Universal holder with large plastic base helps users with limited or no grip in self feeding. 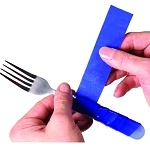 Helps people with limited grip hold the Good Grips Utensils.